Off the seaside of Virginia's Eastern Shore is a chain of uninhabited barrier islands that help protect the mainland coast from storms that—thanks to climate change—are increasing in both frequency and intensity. As the average temperature ticks up slightly, a species of shrub—Morella cerifera (wax myrtle)—has proliferated to a staggering degree across many of the islands. In the past, the shrub would die in extreme winters. 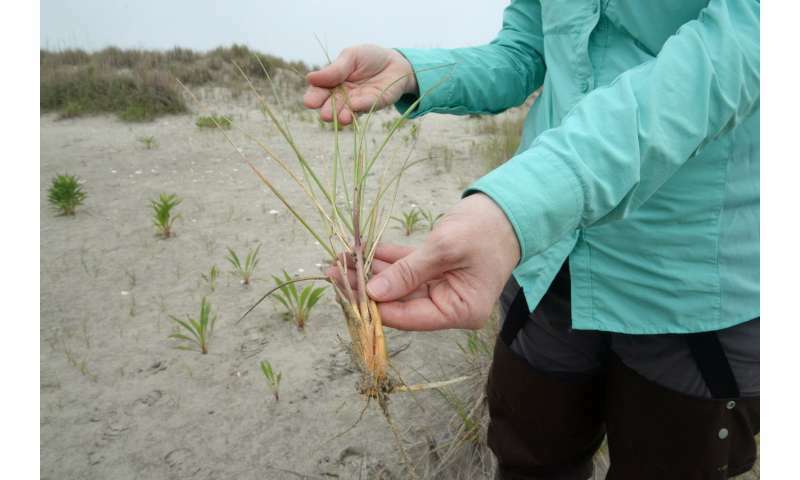 Now it grows year-round, pushing out grasses that build sand dunes essential to protecting the islands. "This shrub has always been here, it's a native species. But it has just taken over," said Julie Zinnert, Ph.D., an assistant professor in the Department of Biology in the College of Humanities and Sciences, on a recent visit to Hog Island. "If you look over this way, that's all shrub. It's a wall of shrub, just ginormous thickets. And that's because of climate change." The explosion of Morella on Cobb Island led to so much erosion that a nor'easter in the spring breached the island, essentially splitting it in two. Satellite imagery from 1984 to 2016 shows that 10 of the islands—Cedar, Cobb, Fisherman, Hog, Metompkin, Myrtle, Parramore, Ship Shoal, Smith and Wreck—have shrunk by 27 percent. Over that period, shrub cover expanded to roughly 40 percent of the landscape. "You can literally see trees that have died on the beach. Plots that used to be maritime forest, now you can look and they're in the ocean. You can literally see the erosion," said Natasha Woods, Ph.D. a post-doctoral researcher at VCU. "People who don't believe climate change is happening, these islands are a great example you could show them to prove otherwise." 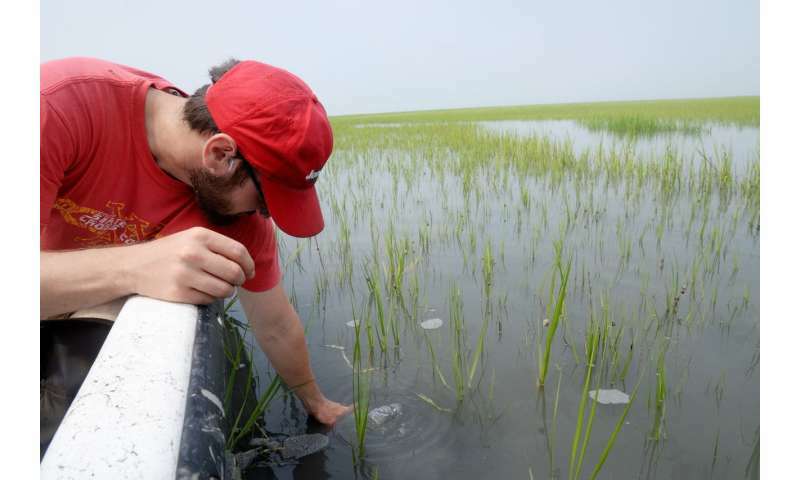 With Virginia's barrier islands under threat from climate change and sea level rise, the Coastal Plant Ecology Lab at Virginia Commonwealth University is conducting an array of experiments that aim to explore the ecological and geomorphic processes affecting their resilience. "Our overarching goal is to understand the interactions between plant ecology and physical processes in response to a changing climate," said Zinnert, the lab's principal investigator. "It is important because it has long been thought that the physical processes structure vegetation communities. But we are showing that it is not a one-way process but an interaction—the ecology of the system is important and must be considered if we are to truly understand and make predictions for the future." The lab is one of several that are part of the Virginia Coast Reserve Long-Term Ecological Research project, which is funded by the National Science Foundation and that focuses on researching the "mosaic of transitions and steady-state systems that comprise the barrier-island/lagoon/mainland landscape of the Eastern Shore of Virginia." One goal of the VCU team's research is to develop a mathematical model that assesses changes to the barrier islands over short periods based on different environmental conditions in order to predict the state of the islands far into the future. "Models are important tools for scientists since many experiments are impossible to perform," Chan said. "In this case, we would like to predict the future of barrier islands, which we plan to do based on simulations of these abstract models. Because interactions between the landscape and ecological communities are very complicated, it may be possible to affect long-term changes through better understanding of these interactions across the entire island." 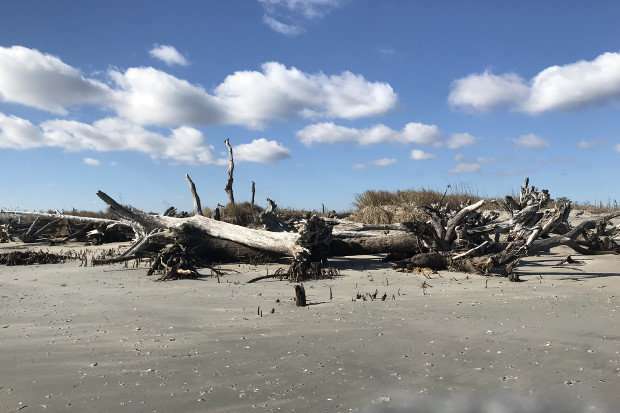 "It will bring awareness to the public and education about the value of coastal vegetation and how natural processes structure coastal communities and how these will change with sea level rise and storms," Zinnert said. "I liken this to our awareness now about wetlands and marsh and what protection they offer after Hurricane Katrina." "The basic idea is that this model could be applied anywhere, along any coastline," Zinnert said. "[With previous models], there's been less emphasis on the ecology of the system. But our research is showing that ecology is really important to our understanding." Ultimately, Zinnert said, the team's research is feeding into the question: Can we predict how the coastline will change? "First, we'll start with the barrier islands, but I think it can scale up to a natural coastline as well," she said. "Can we make predictions about how [islands and coastlines] will look in 20 years, 50 years, 100 years given climate warming, given disturbance activity, given sea level rise?" Throughout the summer, the VCU researchers have been taking a 30-minute boat ride from the Eastern Shore to the barrier islands to conduct experiments. 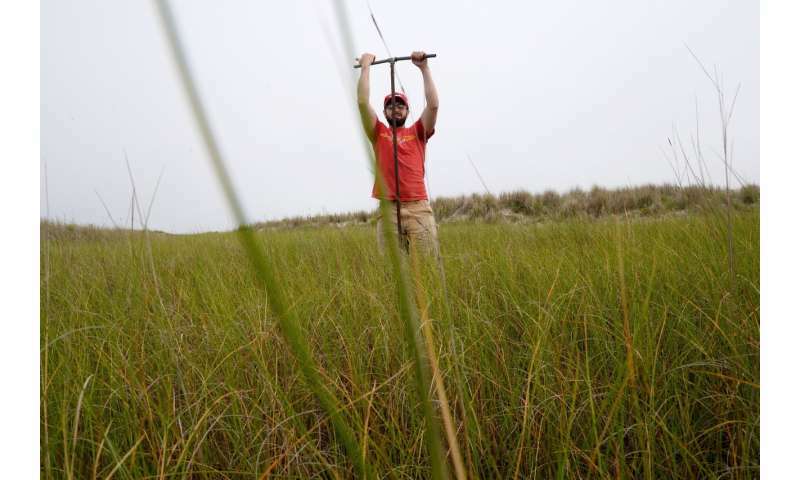 On one recent trip, the team—which included two master's degree students and an undergraduate environmental studies major—visited Hog Island to take water samples, check the status of experiments involving the growth of dune-building grasses, and more. "We're going to be taking them back to the lab and then they'll be tested for carbon content," he said. "We're trying to figure out where the fixed carbon that comes into the system through the plants, where is it going? Is it getting sequestered in the soil and then going to come out in one big belch when the island rolls over? Is it just getting re-respired by microbes and returned to the atmosphere? Does it then flow out in the groundwater and head out into the ocean? Stay in the water table?" "In our system, we know that eventually the shrub takes over, but in order to accurately capture that and be able to model it, we have to know: When does it take over exactly?" Zinnert said. "And are the grasses actually essential for the growth of that shrub? We think they are because we see it, but [this experiment] is actually testing to know that." That experiment, she said, is essential to understanding the complex ecological processes involved in the island's shift from a grass- to shrub-dominated system. "One of the things we've contributed so far is that we've shown it is not a linear progression. It's an abrupt change that occurs and it's irreversible," Zinnert said. "We have some plots where we actually cut out the shrubs. We look at what comes back after we removed the shrubs and it's not the same system. So it's an irreversible change in the system. And this is something that's being noticed worldwide, particularly with shrubs, but with other species as well." "Cobb had this expansion of shrubs and then you just see it eroding over time," she said. "When you look at Cobb Island's landmass from 1984 to 2016, something like 67 percent of it is just gone. It's incredible. And we attribute that to the expansion of the shrub."